Best selling cotton picnic blankets. These have a waterproof back, are super lightweight and machine washable. 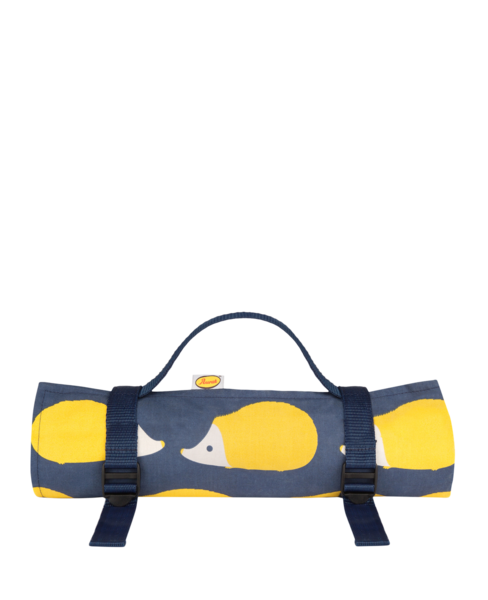 These beautiful blankets for picnics feature fun Mustard Kissing Hedgehogs motifs on a glorious Blue background. These animal picnic blankets are British made from 100% cotton and roll away conveniently into adjustable carry handles.